Join the River Center for a day of educational family fun! This workshop aims to spread awareness of the Town of Jupiter’s PURE campaign. 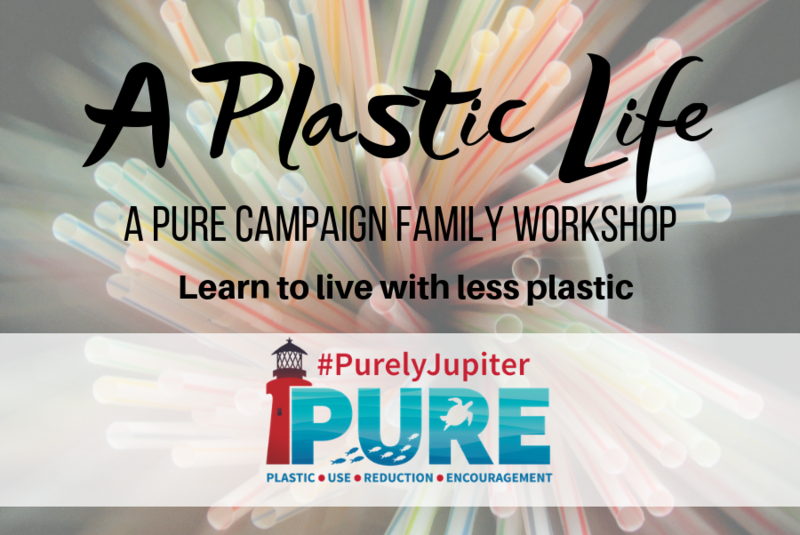 The PURE Campaign – Plastic Use Reduction Encouragement –is an effort involving the entire Jupiter area community. By encouraging businesses to eliminate or reduce their use of plastic straws and encouraging consumers to refuse straws, together we can all do the right thing and protect our oceans, waterways, natural areas, and wildlife. River Center instructor lead workshop. Recommended for ages 7 & up.